Built in 1924, this very handsome, 16-story building. 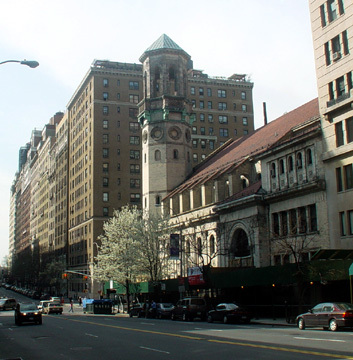 which is known as the Florence, has a prime West End Avenue location. The 95-unit building, designed in an Italian Renaissance-palazzo-style was converted to a cooperative in 1983. Close to the center of the Upper West Side, the building has large apartments and is close to some of the best schools in the city. The building is also only a block from a subway station and cross-town buses at 86th Street and Broadway.